Rebecca Scritchfield is a well-being coach, registered dietitian nutritionist, ACSM certified exercise physiologist, and author of the book, Body Kindness: Transform your health from the inside out and never say diet again (Workman Publishing), which Publisher’s Weekly calls “a rousing guide to better health” and The New York Times Book Review calls “simple and true”. Through her weight-inclusive Body Kindness counseling practice, Rebecca helps people reject diets and body shame to create a better life with workable, interesting self-care goals to fit individual’s needs and preferences, not society’s unrealistic weight and beauty standards. Rebecca has influenced millions through her writing, podcast, workshops, and appearances in over 100 media outlets including NBC Nightly News, CNN, the TODAY show, O Magazine, Real Simple, Time, and many others. 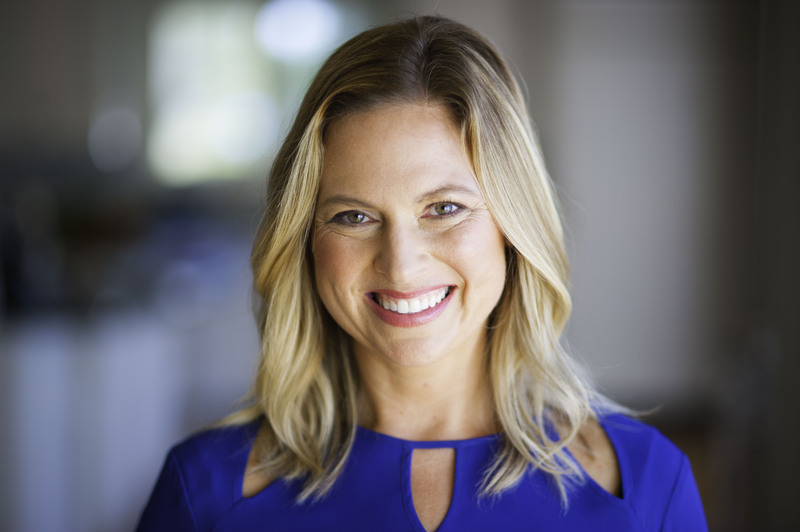 Rebecca is a freelance writer for The Washington Post and Self magazine, an advisor to Health Magazine (2019) and Diversify Dietetics, and a mom of two young girls. She lives in Washington, D.C., where she was recognized as one of ten “Supermom” entrepreneurs in the Nation’s Capital. For 1/1 or family counseling, in-person in Washington, D.C. or virtual consultations, please visit www.capitolnutritiongroup.com to learn about the practice and book online. Partnership opportunities, including speaking, business consulting, and spokesperson opportunities, please e-mail rebecca@bodykindnessbook.com. “The most important thing I learned from Rebecca was on day one. She looked me in the eyes and said life does not start at a size smaller. You are missing out for no good reason. It was the tipping point in my journey to real wellness. It helped break down my barriers of exercise helped me overcome emotional eating and gave me peace I desperately needed.” — S.V. “Rebecca always says “stop shoulding on yourself.” I have a strong inner voice that expects me to be perfect and criticizes most of the time. I learned this voice is basically my mom and even though I’m a mom myself I have not been able to shake this feeling that nothing is ever good enough. To cope, I would eat in secret. Rebecca has helped me deal with that voice and find my real voice – the one that wants me to be happy and healthy. I am doing my best to listen to that part of me.” — H.K. 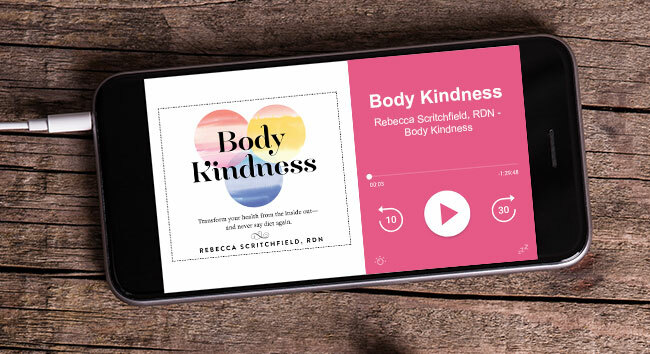 Body Kindness is available wherever books and audiobooks are sold. Order a signed copy (U.S. only) from me directly or visit your preferred retailer. The audiobook is published by Dreamscape Audio.